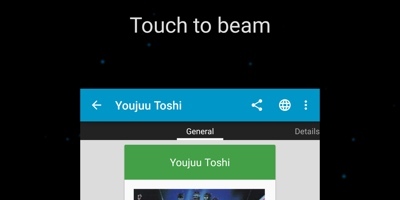 Atarashii for Android has been discontinued. 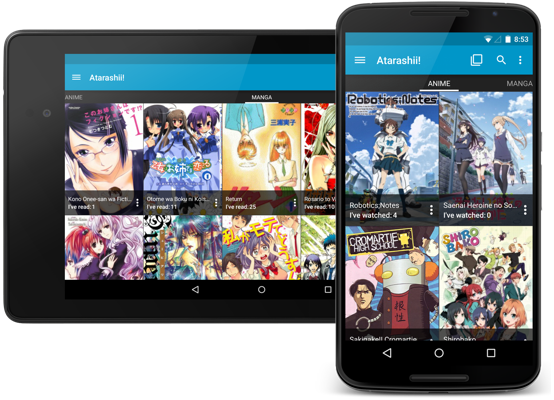 MyAnimeList is one of the most popular sites for tracking manga reading and anime watching, but it's not known for being friendly on mobile devices. We seek to change that. With the Atarashii! 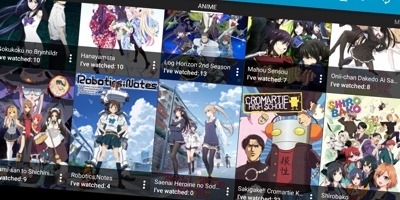 application, we have brought the best of MyAnimeList to the small screen on Android. Sporting a clean and modern design, it turns tracking your media into a joy. Your lists are a great way to show what you love, and a wonderful way to share your favorites with others. Atarashii! makes sharing with other users as simple as possible. Supporting NFC, you can beam your title to another Atarashii! user at your anime club, meetup, or convention instantly.